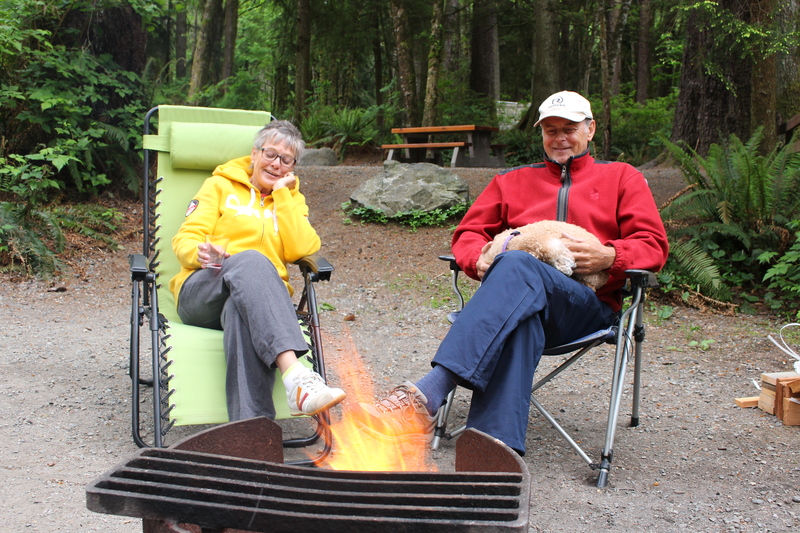 Last week we went camping…..
To take a break from all the work to be done, we went camping with our family/friends Roel and Ineke, to French beach. Its beautiful out there, to get there you drive past Sooke, then you pass Shirley Delicious, a wonderful little coffee shop , with incredible, gluten free goodies, and the government campsite is just a bit further down the road, right at the ocean. 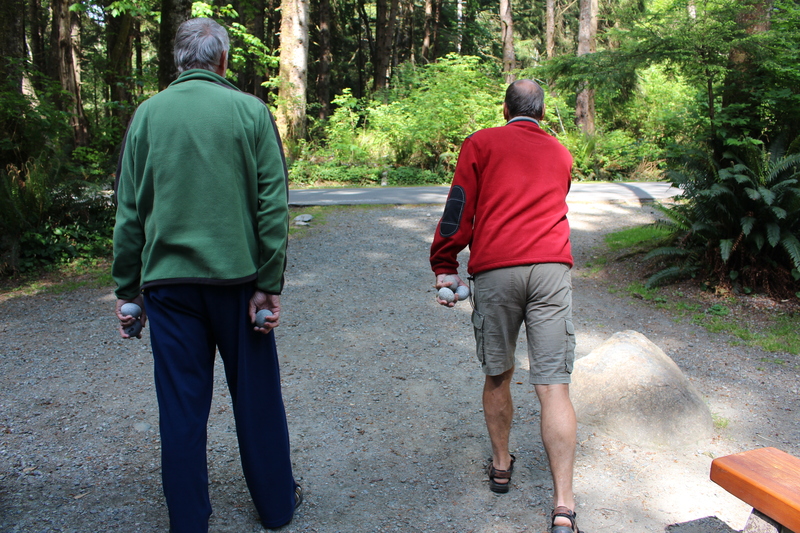 Bert and Roel collected round ,small rocks off the beach, to play the game of Bocce ball, after a few tries, as rocks were flying around the camp site and i was hiding behind the Westy,they became quite good at it, and it was safe to sit in the chair to watch them!! !